Our facility has ample free parking and easy access for patients, their family, and our staff. There are two endoscopy procedure rooms plus two operating rooms which will function initially as endoscopy suites. There are assessment rooms and ambulatory procedure rooms on the lower level. We have created a facility that is a model of excellence in endoscopy and surgical service deilvery in a community based location. Our Directors and Medical Staff include local community and hospital leaders who have practiced for years in Hamilton and maintain active hospital privileges. This allows us to provide continuity of care for any patients who may require hospital based medical or surgical treatment. We are now accepting referrals for all endoscopic services, including upper G.I. endoscopy, and colonoscopy for both screening and symptomatic patients. We provide comprehensive services starting with a thorough assessment, leading to an investigative plan, and then a follow up/treatment plan of any identified issues. Our assessment of patients will allow us to determine if they are best suited for ambulatory or hospital based care and then make those arrangements for them. And all of our patients will receive anesthetic care from local academic hospital anesthesiologists. William Pine, MD, FRCP received his Bachelor of Commerce degree from Queen’s University in 1973, his medical degree from McMaster University in 1977 and his anesthesiology fellowship from McMaster in 1981. He has been a member of the medical staff of Hamilton Civic Hospitals, subsequently, Hamilton Health Sciences since 1982. 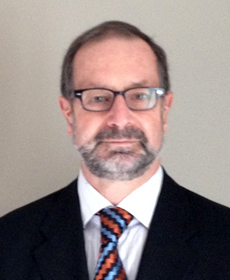 He has been a member of the Faculty of Medicine, McMaster University since 1982. He has held many clinical and administrative positions during those years. He has served as Head of Anesthesia, Henderson Site, President of the Medical Staff and Chair of the Medical Staff Advisory Committee as well as a Board Member, Hamilton Civic Hospitals. He continues to be active in both undergraduate and postgraduate teaching as a member of the Faculty of Health Sciences. 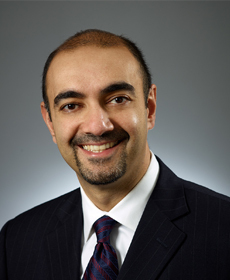 After receiving his medical degree from Ottawa University in 1995, Dr. Kahnamoui completed his General Surgery training at McMaster University, followed by a fellowship in adult Critical Care Medicine at McMaster University. He obtained his Masters of Science in Health Research Methodology, in 2006. Dr. Kahnamoui is the recipient of a McMaster Residency Teaching Award and past director of the CTU at the Hamilton General Hospital site. Dr. Kahnamoui has authored and contributed to a broad range of publications and is active in numerous professional organizations. 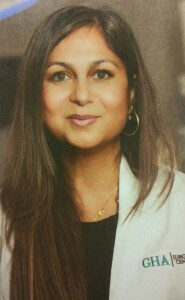 Dr. Kahnamoui is presently the Past-President of the Hamilton Academy of Medicine as well as the Secretary of District 4 for the Ontario Medical Association. 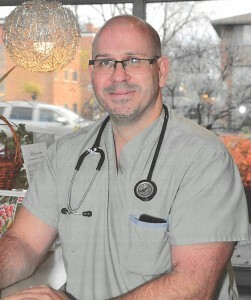 He is in active practice in General Surgery and Critical Care at the Hamilton General Hospital. After receiving her medical degree from McMaster University in 1987, Dr. Reid completed her General Surgery training at McMaster University in 1992 and followed with a fellowship in adult Critical Care Medicine at McMaster University. She joined the faculty of McMaster University in 1993, practicing General Surgery and Critical Care Medicine at the McMaster site until 2012 when her practice moved to the Hamilton General Hospital. Dr. Reid has served in many leadership positions locally and nationally. She is a Past President of the Canadian Association of General Surgeons, and Examiner for the Royal College. Dr. Reid is active in teaching and research in General Surgery and Surgical Education. 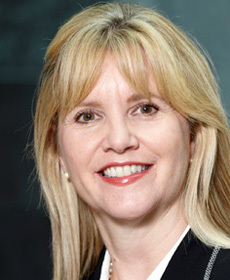 She was appointed as the Chair of the Department of Surgery McMaster University in 2012, becoming the first female Department of Surgery Chair in Canadian history. Dr. Sne completed his medical school training at the University of Ottawa in 1998. This was following by training in the General Surgery Residency program at McMaster University, with an additional year in the McMaster Clinical Investigator Program. In 2004, Dr Sne joined the faculty at the Hamilton General Hospital as an academic General Surgeon, Trauma Team Leader and Critical Care Consultant Assistant. Alongside his clinical commitments Dr Sne has continued to lead and participate in multiple clinical trials in both General Surgery and trauma. In addition, Dr Sne has continued to demonstrate his commitment to education as the Clinical Teaching Unit Director at the Hamilton General site. Dr. Sne is a sought after speaker, participating in multiple national and international forums. Dr. Bhargava completed both her medical school and surgical residency at the University of Western Ontario, and her Minimally Invasive fellowship at the University of Cincinnati in Ohio. Dr. Bhargava has published multiple research papers and lead articles.